The edge-prepping, or honing, of a cutting tool involves radiusing of the tool edge to remove the sharpness of the edge. Results have shown that tool life increases of up to 300% or more are easily achievable, with a noted reduction of cycle times. In this process, multiple tools are fixtured into the tool holders to ensure the proper introduction into the process media. Machine parameters, such as direction of rotation, speed and process time are set and the machine is placed into operation. 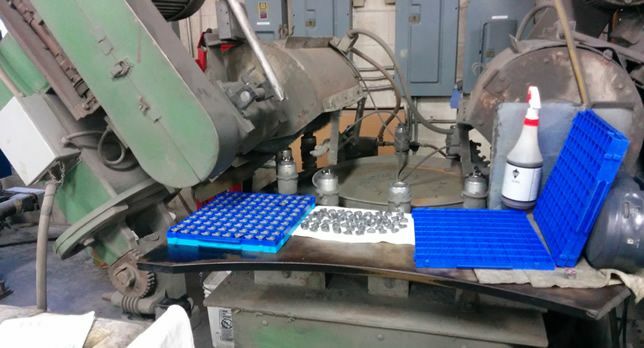 At the end of a cycle, parts are removed from the fixtures, and the next batch prepared for processing.